A few years back, when I was in the hospital for heart treatment, I had asked doctors and nurses if they knew who Vladimir Lenin, Joseph Stalin, and Mao Zedong were. Not one of them could answer my inquiry. A few years later, when I asked young people at a college library who these three people were, they had no clue either. 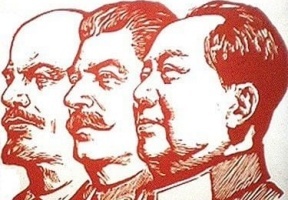 These three men were rulers of the former Soviet Union (Lenin and Stalin) and the ruler of China (Mao). These three men were responsible for more unnatural deaths than any other rulers in history. If I asked the same question about Adolf Hitler and the Nazis, everyone knew what I was talking about. Most people have been educated in the public schools about the evils of Nazism, but really nothing about Communism. This is one reason why I am seeing something I find disturbing. It seems that despite all of the information from the archives and history files from the former Soviet Union and other Communist states that have since been consigned to history, a growing number of young Americans are turning towards socialism as an “alternative” to capitalism. I find it sad that so many young people do not know the crimes and atrocities committed by the Communists over the last 100 years (of which I am a survivor of one—the Tiananmen Square Massacre), and a growing number are jumping on the socialist bandwagon in the belief that somehow socialism will still work. All I have to do is look at two women who are members of the Democratic Socialists of America who were elected on the Democratic ticket to the U.S. House of Representatives to see how many young people are being seduced to socialism. Even a mere six months ago this would have been considered unimaginable. The two women who were elected are Alexandria Ocasio-Cortez and Rashida Tlaib. In just one year’s time (since U.S. President Trump became president), membership for the Democratic Socialists of America has jumped from 32,000 to 50,000. But the Democratic Socialists of America is not the only leftist organization that has experienced a major increase in its membership. Even the Communist Party U.S.A. has seen a major increase by their own admission. From what I know, in many ways this increase has been building for a decade. Many people, especially young people who are being called Millennials, were especially disillusioned with capitalism from an economic upheaval in what has become known as the Great Recession. Many young people feel that the whole system let them down, and they are seeking an “alternative.” For a growing number of young people, socialism is the only way forward. It makes me cry that socialism has been tried many times before—with the same end goal being failure. Not only failure but with a LOT of people dying. Yes, capitalism is far from perfect and there are real problems with this system. But socialism in my view is a dead end, and will lead to far more untold human misery as has happened in the past. But for now it seems history lessons on socialism have again been lost as it seems a new generation of young people have fallen in love with socialism.